Namibia is one of those places that needs to be seen to be believed, and photographed to be appreciated long after your visit. 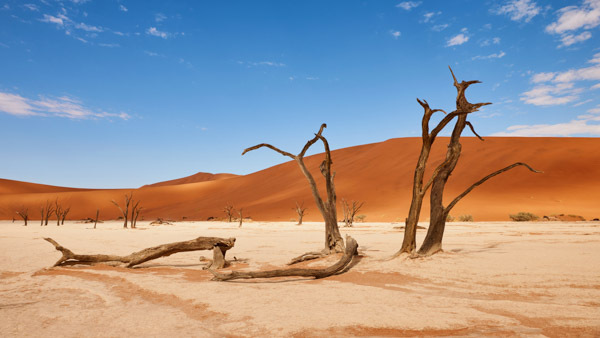 Right between the Namib and Kalahari deserts, and getting less rain than any other country in sub-Saharan Africa, Namibia is a land of contrasts and extremes. It is also a photographer’s dream, packed with stunning scenery, surprising wildlife, and surreal views. From the enormous red sand dunes of Susslevei. Some of the largest in the world, and waiting to be photographed day and night. To the ever famous Deadvlei. An area that’s surrounded by gigantic red sand dunes… Together we can capture stunning desert landscapes that will end up being some of the favorite photos you’ve ever taken. But lets not forget the Quiver Tree Forest… Near the southern town of Keetmanshoop lies a unique forest of quiver trees. These are not actual trees, but rather species of aloe large enough to be called trees by the locals, who once used them to make quivers for their arrows. The plant’s candelabra-like shape creates ideal silhouettes against a sunrise or sunset. The forest is also perfect for starscapes or star trails, and streaking clouds through a moonlit sky. And who can forget a visit to the once a thriving settlement built around a diamond mine, Kolmanskop. This has been a ghost town since production ceased in 1954. With colorful walls and sand dunes engulfing entire rooms, the ghost town is on my list of things to see when we visit. The juxtaposition of the manmade and the forces of nature make for compelling photography. 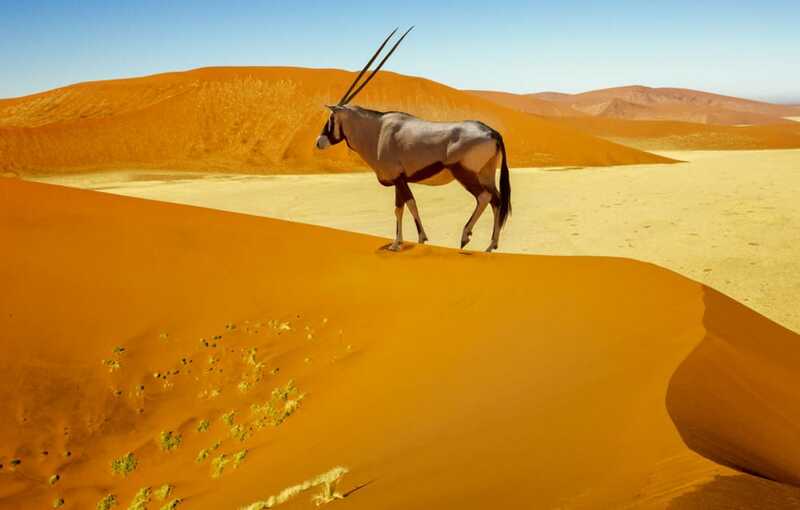 But Namibia isn’t just about the awesome landscapes and stunning scenery… There is a plethora of wildlife that we will see… from the feral horses, to the birdlife, the Cape Seal Colony, Springbok and, fingers crossed, desert elephants, the wildlife is plentiful. But the wildlife encounter I am most excited about is a visit to the Cheetah EcoLodge. Cheetah Ecolodge is owned and operated by Cheetah Conservation Fund (CCF) a nonprofit dedicated to saving the cheetah in the wild. Founded in Namibia in 1990, Cheetah Conservation Fund (CCF) is the global leader in research and conservation of cheetahs. While at the Lodge you will be treated to some amazing Cheetah photography opportunities that you cannot get anywhere else. 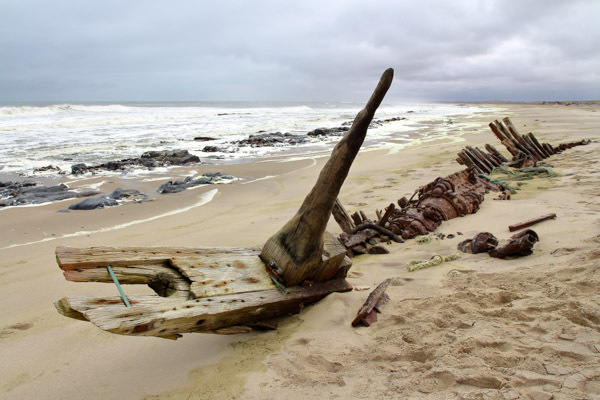 As you can see, Namibia is a photographer’s paradise! I hope you consider joining me in March of 2019.